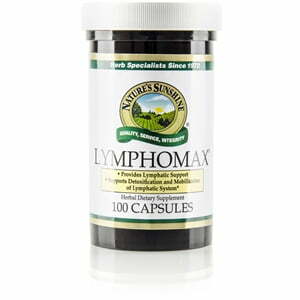 Nature’s Sunshine Lymphomax® supports the lymphatic system. A unique blend of mullein, lobelia, plantain, cleavers, red root, and other herbs, this formula nourishes the respiratory system, protects the liver, promotes natural bodily cleaning processes, and helps maintain microorganic balance. 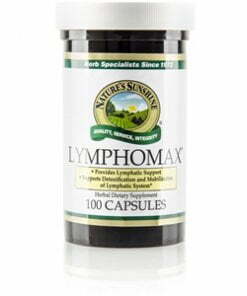 Lymphomax purifies the blood and helps the lymphatic system stay healthy.